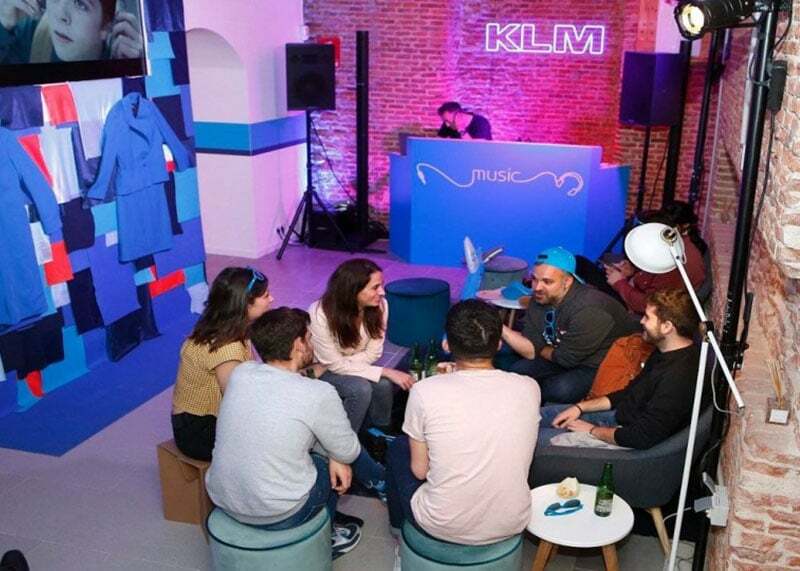 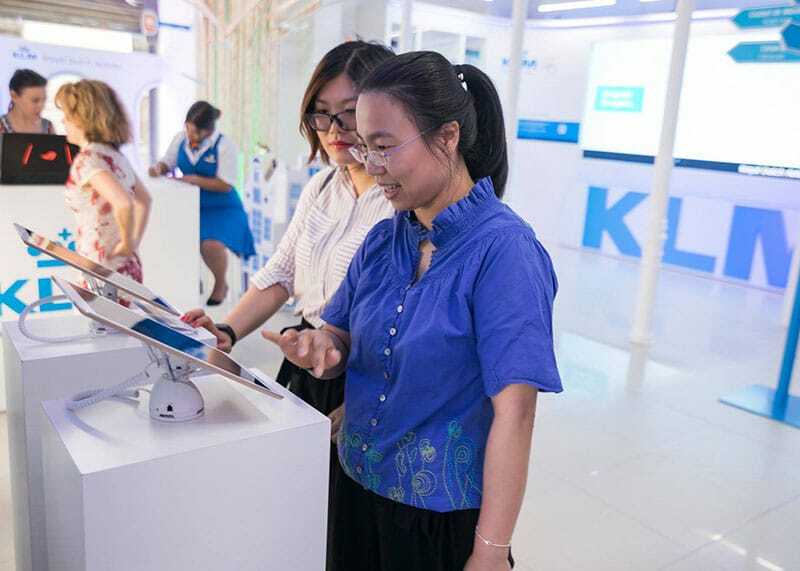 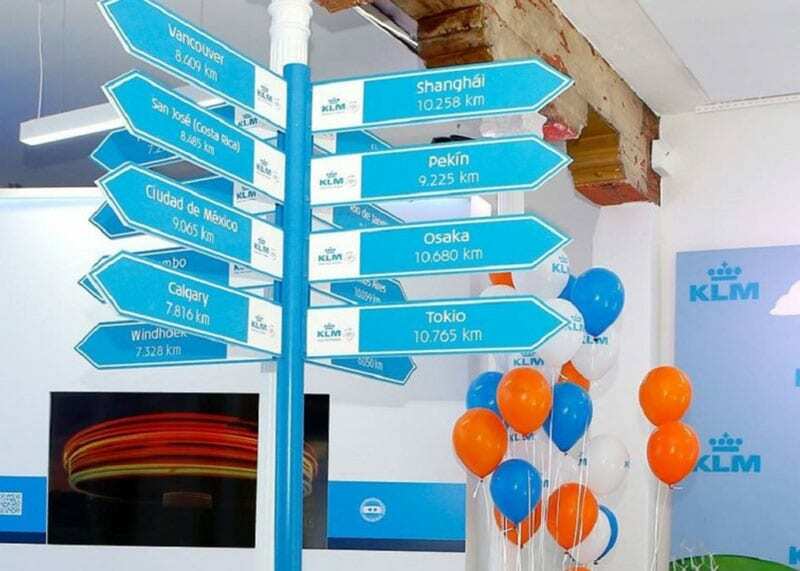 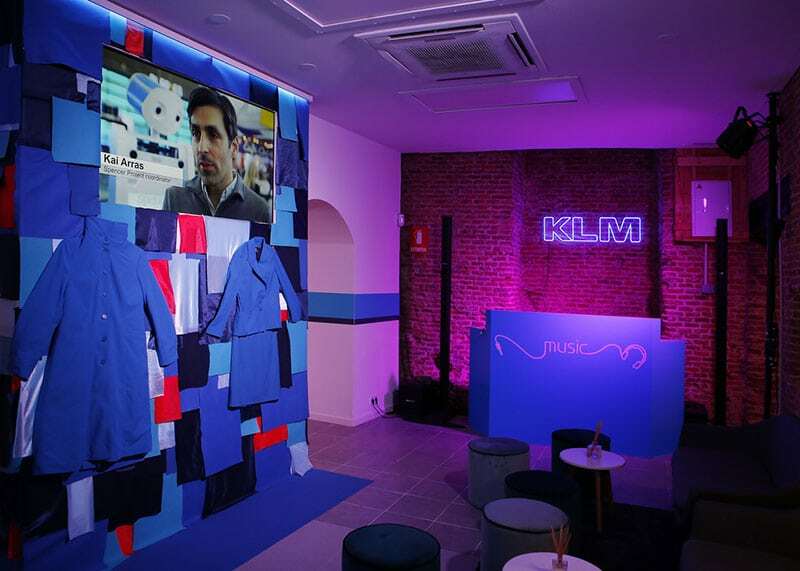 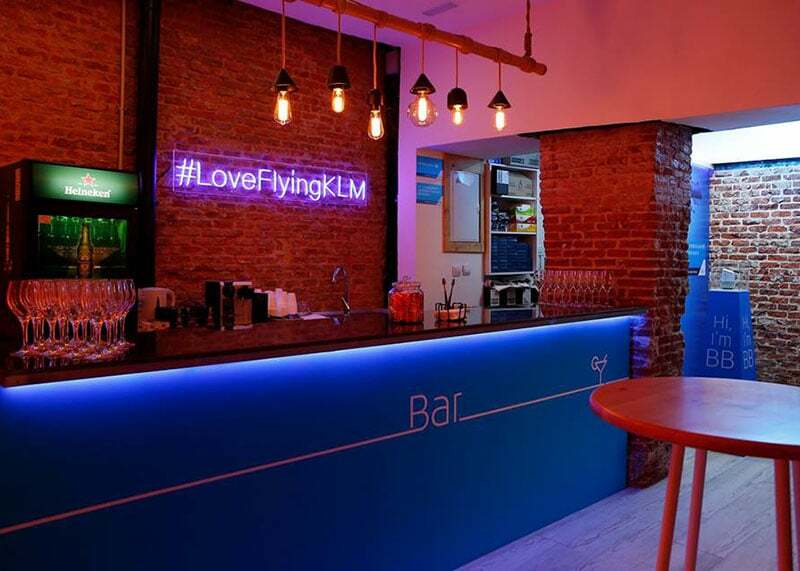 On last month of June KLM decided to set up a temporary Pop Up Store in the central street of Recoletos. 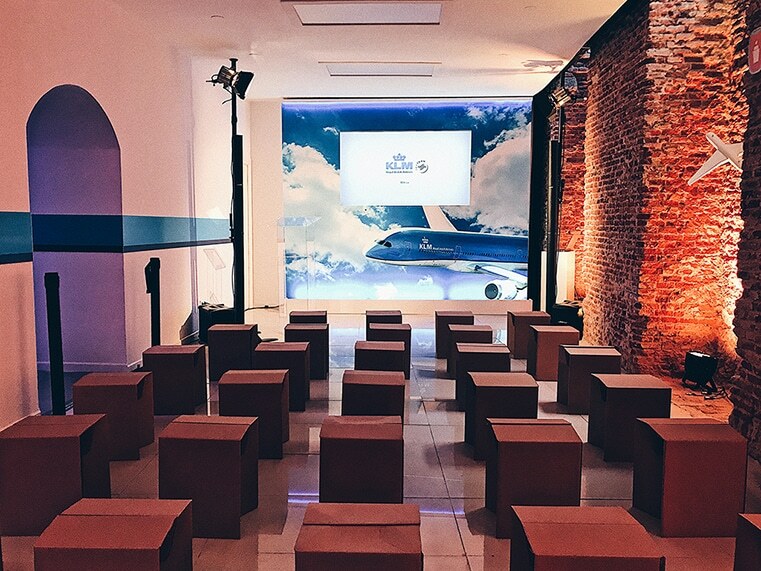 For this project and commissioned by our client, AVEurope was in charge of all the audiovisual production and technical assistance of the event. 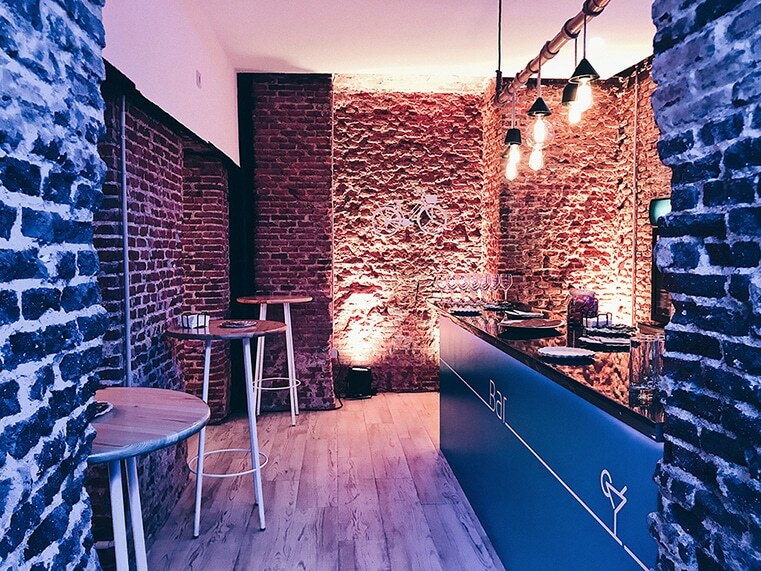 For the ground floor a sound system and DJ equipment and a complete Bose sound system were installed to cover the speech of the room, as well as Led creative lighting. 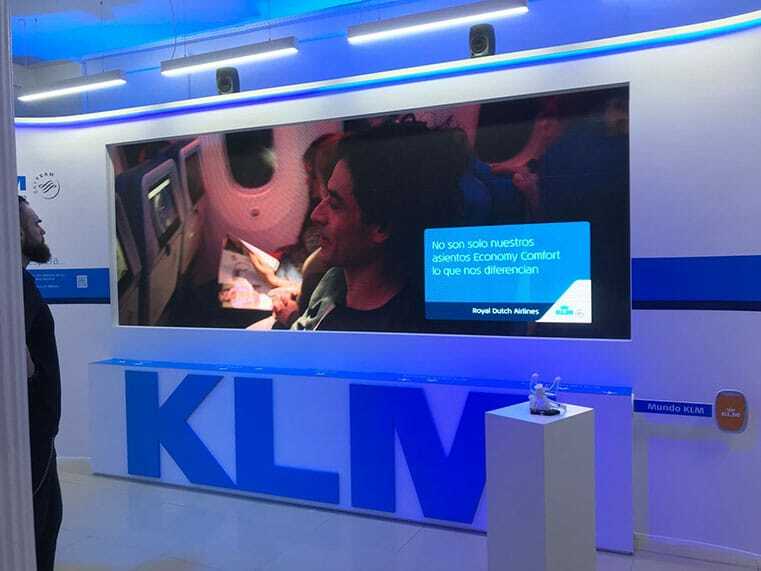 A 4 x 1.5 mt Led screen with a pitch of 2.9 mm was installed for the street level, as well as several 55 “, 60” and 80 “screens.